These are a selection of hotels with distinctive exteriors or structures which give them a unique style and appeal. From fortresses and palaces to classic mansions and monasteries, Andalucía has a wide range of unique, as well as culturally and historically significant, buildings in which one can now spend the night. These architecturally unique hotels can generally be found in historic towns and cities, such as Granada, Córdoba and Seville whose rich histories influence the style of their buildings. NH Collection Amistad Cordoba is a converted 18th-century mansion located in Cordoba City Centre, 200 m from the cathedral. 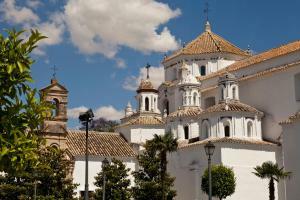 The hotel is set next to the old city walls, in the Jewish quarter of Córdoba. All air-conditioned rooms in the hotel offer a Nespresso machine, kettle, minibar, a flat-screen TV and a specially designed mattress. Situated in Cazalla de la Sierra, El Palacio de San Benito was originally built as a hermitage by the order of Calatrava at the end of the XV century and served as a hospital for pilgrims on their way to Santiago. Today, the hotel features a seasonal outdoor swimming pool, garden and terrace. It also has a restaurant, a shared lounge and a bar. The tour desk can help arrange some activities. 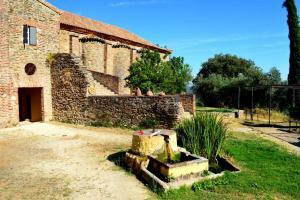 Located in Andalucía’s Sierra Norte Nature Reserve, this impressive converted monastery is a National Monument. La Cartuja features a shared dining room, shared living room with TV and a terrace with a pond located in a separate building just 100 m from the main building. It features a fireplace. There is also a library-lounge with a TV. 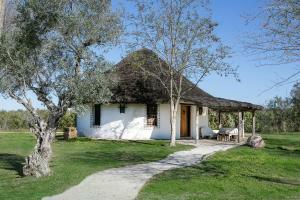 Ardea Purpurea is set in the Doñana Natural Park and houses authentic thatched buildings featuring elegant décor and exposed wooden beams. The hotel has an outdoor lagoon-style saltwater pool. Each bungalow is equipped with an open-plan kitchen and living room, as well as a TV with DVD and CD player, free Wi-Fi and air conditioning. All have parking spaces next to them. 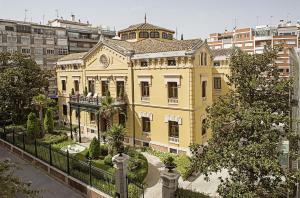 Set in a 19th-century palace, 650 m from Granada Cathedral, this beautiful luxury hotel offers a spa. The UNESCO-protected building features a garden with Arabian-style fountains. The elegant rooms at Palacio de los Patos have a contemporary design, while conserving the original décor of this historic property. These appealing and contemporary cave apartments are situated in a unique and peaceful setting, surrounded by mountain landscape and are a great option for those looking to explore the Granada province. Situated in Purullena, not far from Guadix, the rural style accommodation comprises apartment accommodation in impressively converted troglodyte cave dwellings. Situated in Huétor Vega, Quinta Real Granada is an old house built in 1942 with traditional Andalusian and Arabic influences. Each room comes with air conditioning and free WiFi. Among the various facilities are a garden and a terrace. Guests can make use of a shared lounge and terrace which provides fantastic views of the surrounding area. 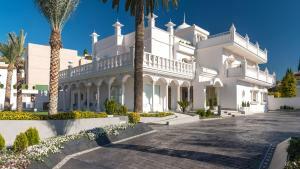 Almoraima Hotel is a restored 17th century convent offering stylish accommodation in a tranquil setting. The chic rooms feature modern décor. Some look onto the central courtyard and some have a traditional fireplace. La Gañania restaurant serves Mediterranean cuisine, with an emphasis on different meats and products from La Almoraima Estate. 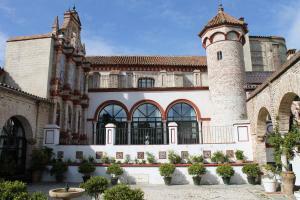 This nationally listed building was once a royal property and was involved in the conquest of Seville in 1248. It features an outdoor swimming pool, set within beautiful gardens. Each room at the Hotel Cortijo Torre de la Reina comes equipped with air conditioning, a minibar and a TV. All have classic décor, a private bathroom and some rooms have a balcony. Located between Seville and Cordoba, this romantic hotel is set in a 15th-century monastery and maintains original features, such as vaulted ceilings. It has an outdoor pool in the gardens. Rooms at Monasterio de San Francisco enjoy views of the pool, gardens or stunning internal courtyard. The hotel's restaurant is open for all meals and serves traditional cuisine. There is also a bar and lounge area. Once a 14th-century Moorish fortress, this Parador Hotel offers spectacular views over the countryside and the Corbones River. Enjoy these from the seasonal pool and dine in the elegant restaurant. A wonderful example of Moorish architecture, the Parador de Carmona boasts fabulous design details including a stunning central courtyard, vaulted ceilings, original stonework and spacious terraces. Featuring free WiFi throughout the property, Hotel Finca Almejí is set in an old restored olive oil mill in the very small yet picturesque town of Benadalid. 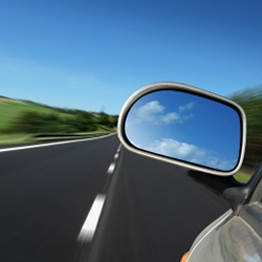 The hotel is 36 km from Marbella and a twenty minute drive from Ronda. Guests can enjoy breakfast included every day and can also make dinner reservations in the on-site restaurant.